The sun is in Capricorn from December 21st to January 19th. 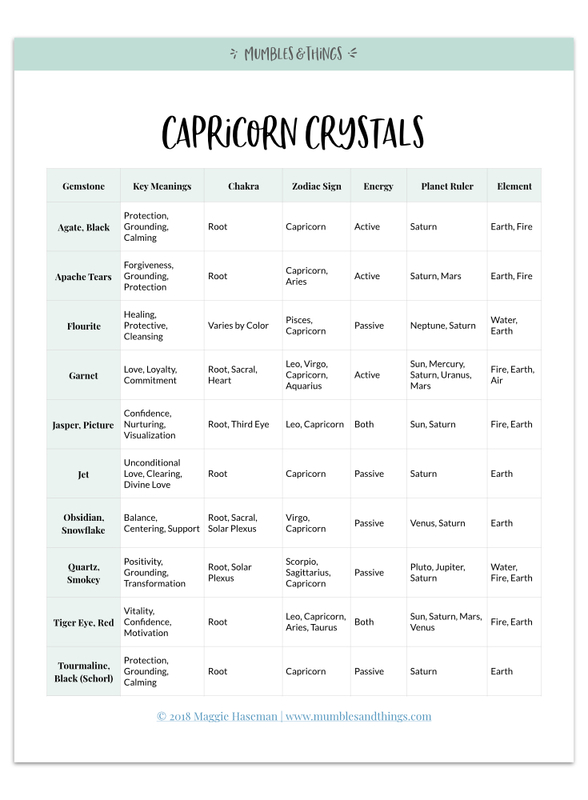 If your sun sign is not Capricorn, these stones are still useful. The zodiac energy of each sign surrounds all of us based on the time of the year. The energies of Capricorn are at work now. Capricorn is a very serious sign. The energy around this time of year is full of patience, industriousness and determination. There is not much room left over for whimsy. Interestingly, The energy of Capricorn is exactly the energy we need at this time of year. It starts at the very beginning of winter coming to the end of holiday season. You need to be industrious, determined and patient to come through the winter and start the new year successfully. Black Tourmaline provides protection during the time of uncertainty. It is both grounding and calming for the sometimes overly industrious Capricorn energy. Fluorite is a crystal for healing, protection and cleansing. At the end of the year it is important to reflect back on the previous year and allow yourself to heal from anything that has happened in the past, cleanse yourself of any negativity before moving into the new year and protecting yourself from whatever may come in the future. Garnets provide support to the driving Capricorn energy. It is a stone of all forms of love, loyalty to your friends and family and commitment to your goals. Capricorn is an earthy sign and Jet provides protective, earthy energy that helps you be industrious and make things happen. It is a stone of unconditional love, clearing and the divine. Malachite amplifies your intentions and when used during this time of year, it can help set your goals into action. It also provides protection and healing. Onyx is another protection stone. It provides encouragement in all your endeavors and will give you strength when you feel as if you have none. Red Tigers Eye takes the energy of Capricorn and amplifies it to give you a sense of vitality, confidence and motivation. At the end of the year it is time to move forward without looking back. Smokey Quartz removes negativity so you can begin the new year fresh. It is also a grounding and transformative stone. Snowflake Obsidian provides balance and support in your goals. It can aid in centering you and focusing on your passion. Probably my favorite crystal for Capricorn energy, Rainbow Obsidian embodies the practical, earthy qualities of Capricorn. It helps to give you insight. Capricorn is extreme when it comes to the traits associated with this energy. The energy of Capricorn is occasionally all work and no play. Sometimes, you need to balance that with a bit of a dreamer and imagination. Rainbow Obsidian has more going on than what’s on the surface. It's very black with very subtle shimmer of rainbow that comes through when you look closely. Find a way to marry the imagination and dreamwork into the practical atmosphere of this time of year. Emerald is a stone that brings together both the energies of the heart and the earth. It enhances the heart fire and passion of the Capricorn energy. Ruby is wonderful for supporting persistence and purity. Capricorns believe they are doing the right things. They enjoy following the rules and need boundaries to succeed. 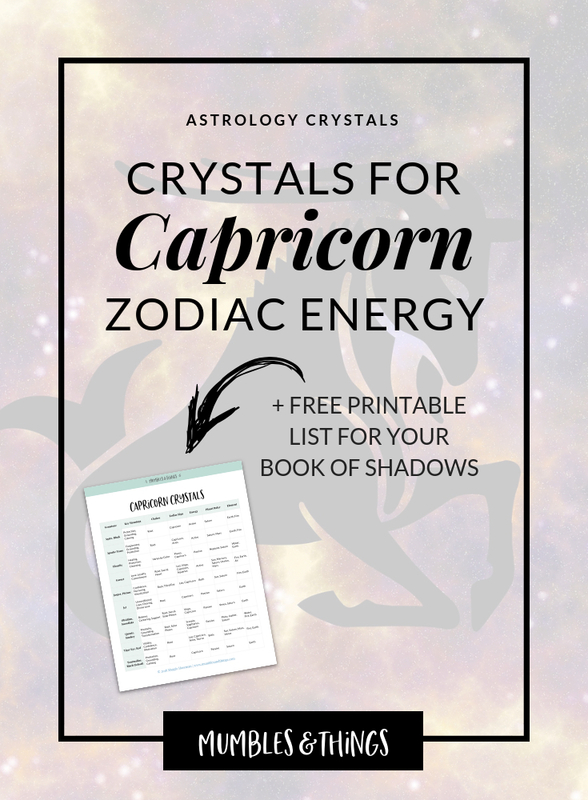 Want my list of Capricorn crystals? Click the button below to request your list to be sent to your inbox. 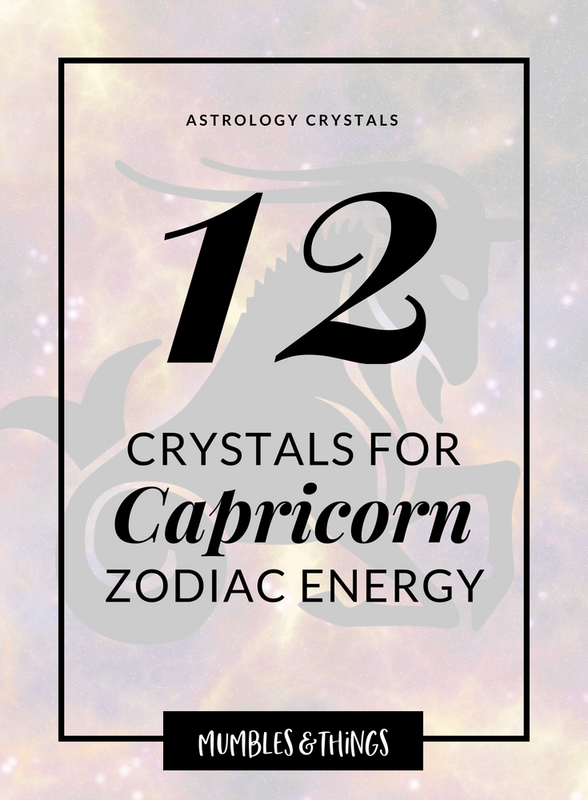 This list includes the top 10 crystals associated with the zodiac sign Capricorn, plus, the three key uses, primary chakras, polar energy, planetary ruler and element correspondence.